Believe it or not, it made National news and was even listed on the Yahoo homepage. 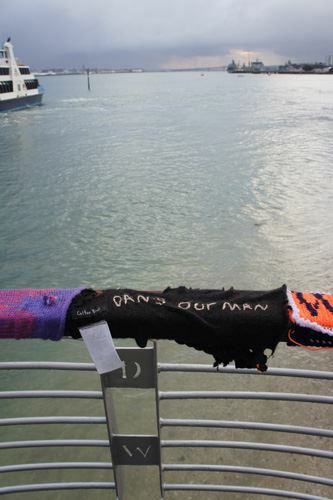 Replacement Dan is well on his way to being knitted and will hopefully be up on the wharf by Friday or Saturday. My inflatable giraffe is no longer distracting. Possibly the best slice in the World. An interruption to our service.